Alternatives to foam roller may offer more relief. Are you using a foam roller for sore muscles? There may be a better way to achieve relief. A foam roller being used for tissue release is a common sight at the gym. I frequently see the same people rolling the same body parts, including their thighs and back. But is it providing them any relief? Chronic tightness and tenderness in some parts of the body actually result from constant tension in other other parts of the body. If you know where the connection is, you can gently release it yourself. Here is an example. 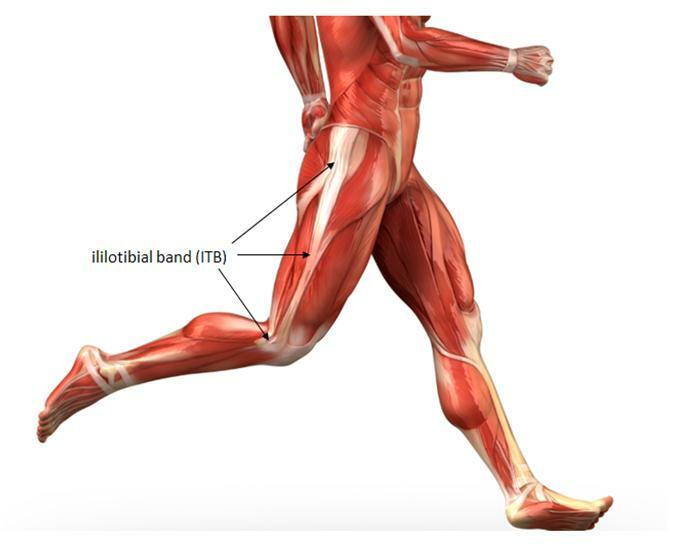 The lower portion of the outer thigh extending to the knee, is referred to as the iliotibial band, IT band or ITB. Massaging, or attempting to release the IT band of tissue (connective tissue) with your hands or a foam roller, tends to be painful and not very effective. That tender area is actually due to tension in the muscles of the inner thigh. Releasing the tension in the inner thigh muscles helps reduce the constant pull which causes the pain in the outer thigh. If you press deeply into the inner thigh corresponding to the same area on the outer thigh, you will probably feel tender. If this is the case, you can massage the inner thigh with use of a foam roller, or, do what I do. While sitting, find the area on the outer thigh that is tender. While identifying the tender spot in the outer thigh, twist the thigh (soft tissue) to the outside or inside. Twist in which ever direction allows for alleviating the tender spot. Then, with your index finger check to feel if the tenderness is reduced. Once the pain is turned off, HOLD that position for 90 seconds. Then gently ease out of the position. Alternative to foam roller for releasing iliotibial band (ITB) tenderness. If tension does not release in the inner thigh when twisting to the outside, as in photo to the left, twist lower thigh to the inside. Apply pressure to the outer thigh point; it should be better. You are actually reducing the tension in the inner thigh muscles which will reduce the pull and tenderness in the outer thigh. You can provide relief to other chronic tender points by this same alternative method. Try applying this method in other regions. By re-balancing the muscle tension throughout the body, you may reduce tenderness all over. Learn effective ways to re-balance your body and reduce tension. Let me map out a plan for your body.